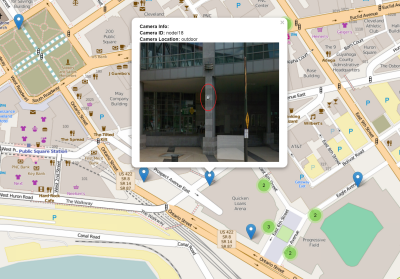 New Website aims to map surveillance cameras across nation - Is this REALLY a good idea? A new website seeks to map out surveillance cameras throughout the country, to allow people to plan protests without being recorded by security cameras. But is this really a good idea? While many homeowners install security cameras for innocuous reasons like seeing when the kids get home, or see who is at the front door when the doorbell rings, with a home security camera system you may end up catching much more and you never know when you will need them. These people were the latest victims of package theft from their front porches.